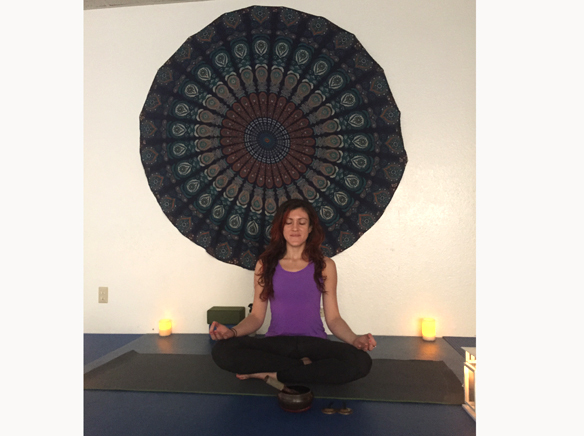 Adriana Chavez is a passionate and service minded yogi dedicated to using her knowledge to promote health and wellness in her community. Chavez runs CHN Yoga in Santee and is a member of California Health Network (CHN), a local organization dedicated to promoting fitness and health in East County and beyond. CHN Yoga has been involved with a number of community events including last year’s East County Community Social, and is thrilled to be part of CHN’s Lakeside Health Awareness Month this March. More than 30 local businesses and organizations in the East County community are offering free and discounted services throughout March to community members to start anew in their pursuit of a more fitness and health-oriented lifestyle. Chavez first tried out yoga on a Wii Fit during her time at Mesa College and went on to become certified. In addition to running CHN Yoga, she also teaches yoga classes at UCSD and has a passion for using her skills to give back to the community. Most recently she volunteered her time to teach a yoga class at the American Psychosocial Oncology Society’s 13th annual conference and taught a workshop for cancer patients at the Moores Cancer Center. Chavez’s passion for community is reflected in her proudly saying that at CHN Yoga, “We’re just a bunch of neighbors, we are all friends in the community. Here if you show up 5-10 minutes late that’s fine, you can leave early if you need to. You know we’re all just friends,” she said. For more information on Lakeside Health Awareness Month, visit www.californiahealthnetwork.org/healthawarenessmonth.